dating a chef has changed my life — and i’m not always happy about it. a while back, he handed me a book, “kitchen confidential” by anthony bourdain. “read this,” he said. “you’ll love it.” it is a great book, but there are some pretty upsetting parts. especially the truth about hollandaise. it has to be kept at a pretty precise temperature or it’ll go bad and chances are, your restaurant of choice isn’t putting in the effort. bourdain won’t order hollandaise at a restaurant, and that guy eats blood sausage and bugs and who knows what else. so it was decided. 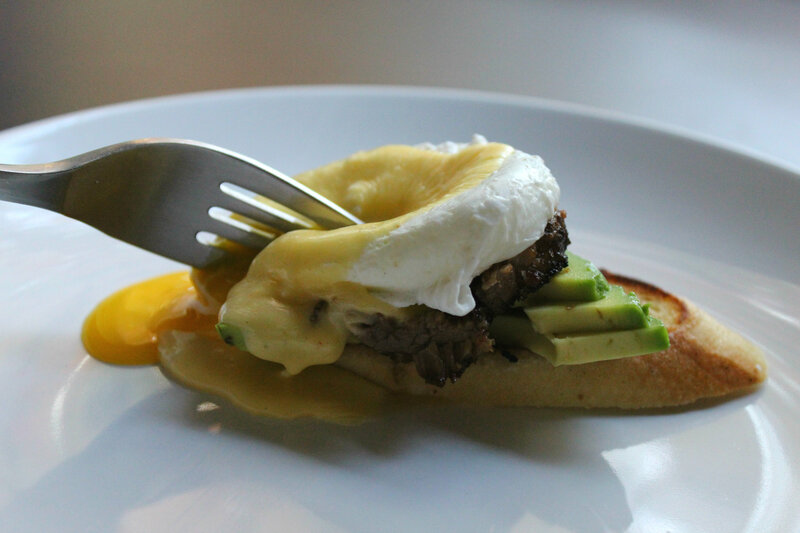 if i want hollandaise, it has to be made at home. we use it to garnish re-purposed breakfast. 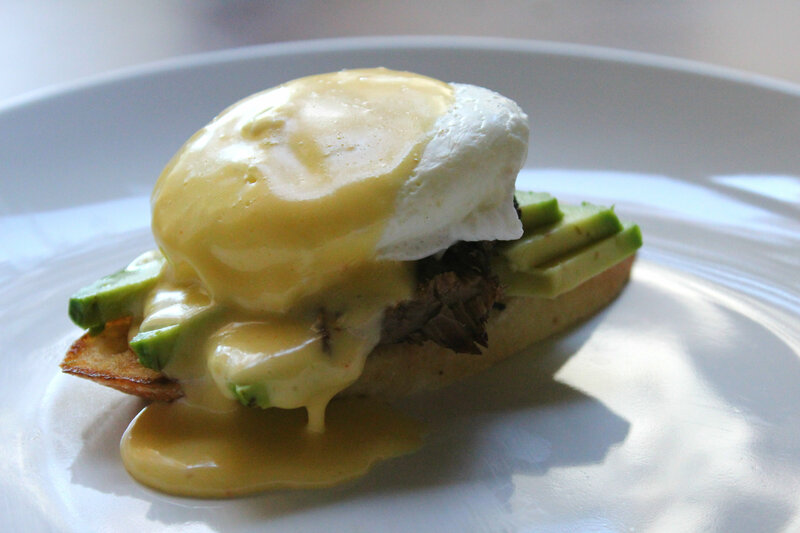 this morning: last night’s brisket with avocado and a poached egg. enjoy. yolk only, guys. use your hands to separate. cooking this is like a science experiment. 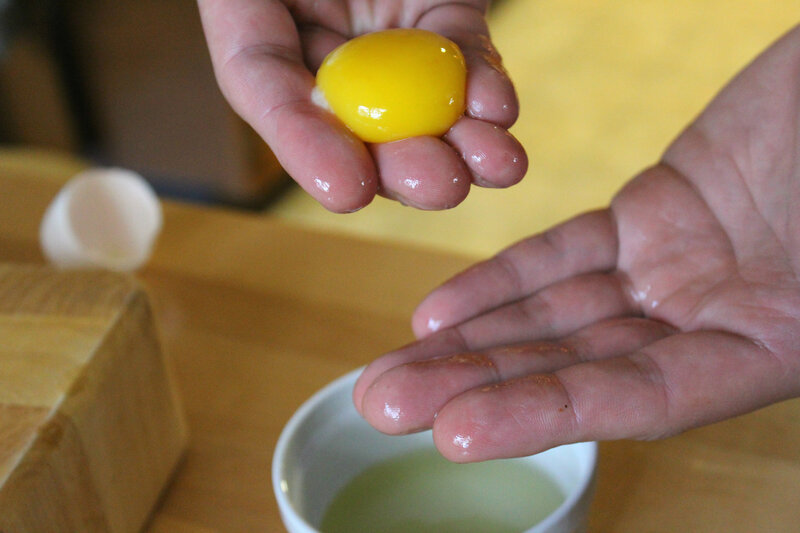 you want to stir the yolks and butter together in a warm water bath. warm the water in a sauce pan. you don’t even want it to simmer, just warm. put the yokes in a metal bowl and hold the bowl in the water, so the water warms everything. 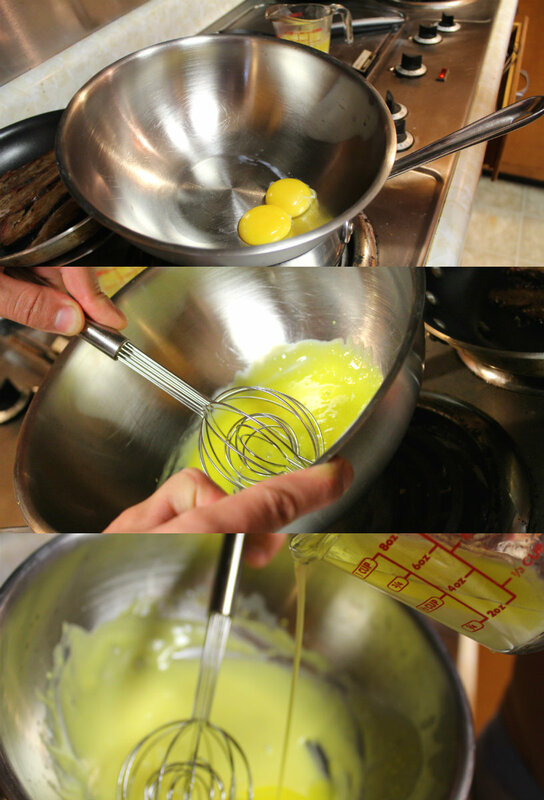 whisk like crazy. be careful, if it gets too hot the eggs will start to cook. you definitely don’t want that. now slooooowly add in in your melted butter, whisking the whole time. now we season — and this is all up to your tastes. 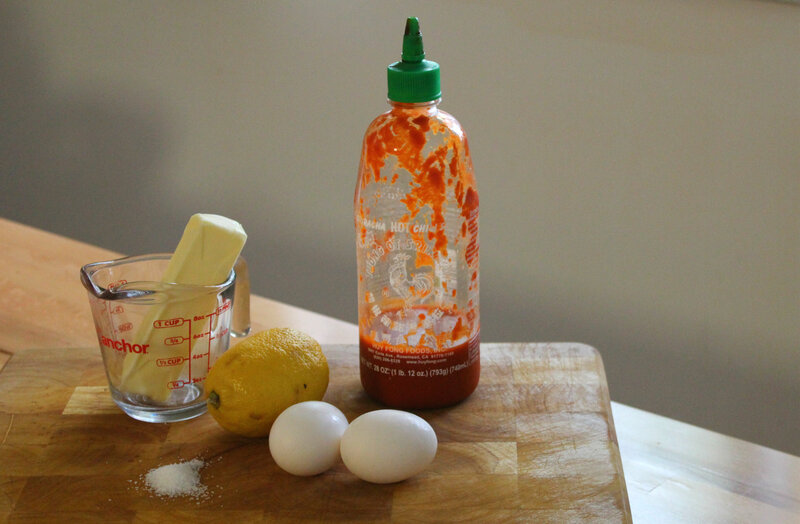 i like a lot of salt, he likes a lot of sriracha. a little lemon juice freshens it up. after we made this batch of hollandaise, i was spooning it on and he told me not to put any on his. turns out, he doesn’t even really like it, but he’s been making it for me for a year and a half anyway. it’s the little things.